Now this is what you call a bell sleeve! 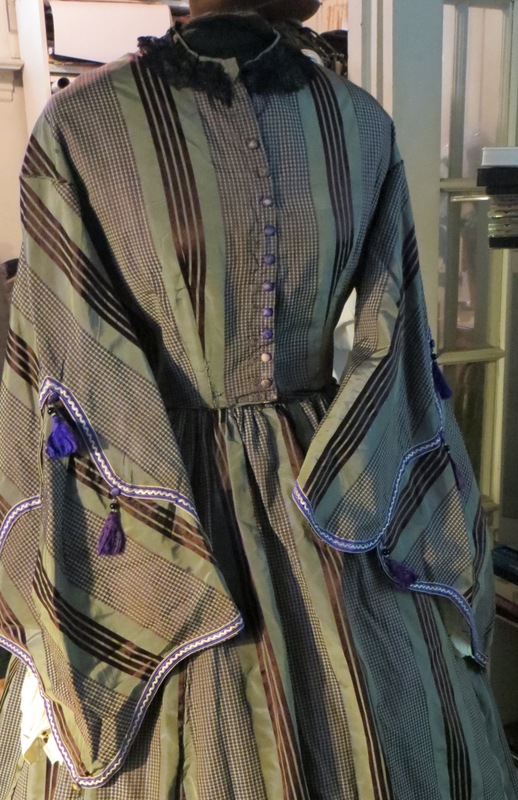 This silk day dress with satin stripes (1862-1865 in its current form) was probably made from an earlier garment. The satin stripes are in 3 different weaves, the bodice is boned, fastening at the front, and the sleeves are lined in white silk. Such a good example of a big bell sleeve is rarely seen.